ssao stands for Screen Space Ambien Occlusion, and it partially makes reality one of the deepest dreams of computer graphics programmers: ambient occlusion in realtime, mine included (see here). The term was first used by Crytek (a german game company) when they introduced it in a small paragraph of a paper called "Finding Next Gen – CryEngine 2" (just google for that sentence). Since then many cg programing enthusiast tryed to decipher how the technique works, and each one got different results with varying quality and performances. I did my own investigations and I arrived to a method that being not optimal, still gives cool results and is quite usable. Of course I went thru many revisions of the algorithm, but well, this is the technique I used for Kindernoiser and Kindercrasher 4 kilobyte demos. 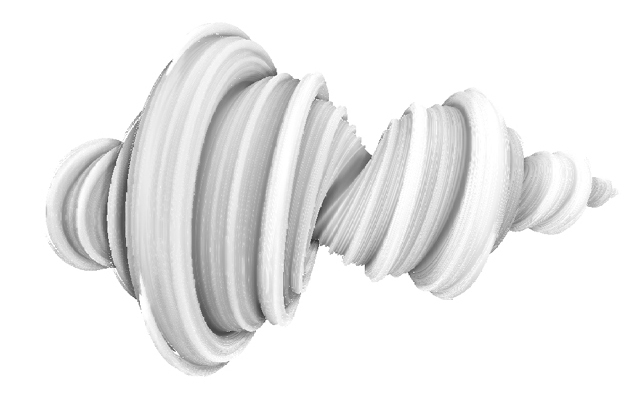 Ambient occlusion, as other direct lighting techniques (and indirect too of course) is based on a non-local computations. This means it's not enough to know the surface properties of the point to be shaded, but one needs some description of the surrounding geomtry as well. Since this information is not accessible on modern rasterization hardware (that's why we will never see good realtime shadows in OpenglGL or Directx), the Crytek team (as many other guy somehow before them) came with the idea to use the zbuffer to partially recover such information. Zbuffer can be seen as a small repository of geometry information: from each pixel on the buffer one can recover the 3d position of the geometry (well, the closest to the camera surface) projected on that pixel. Thus the idea is to use that information in a two (or more) pass algorith. First render the scene normally, or almost, and in a second full screen quad pass compute the ambient occlusion at each pixel and use it to modify the already computed lighting. For that, for each pixel for which we compute the AO we construct few 3d points around it and see if these points are occluded from camera's point of view. 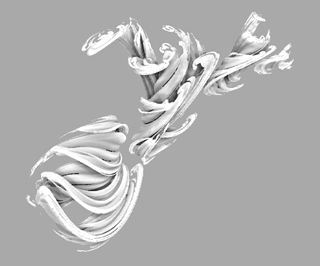 This is not ambient occlusion as in the usual definition, but it indeed gives some kind of concavity for the shaded point, what can be interpreted as an (ambient) occlusion factor. To simplify computations on the second pass, the first pass outputs a linear eye space z distance (instead of the 1/z used on the regular zbuffers). This is done per vertex since z, being linear, can be safely interpolated on the surface of the poyigons. By using multiple render targets one can output this buffer at the same time as the regular color buffer. next we have to generate N 3d points. I believe Crytek uses 8 points for low end machines (pixel shaders 2.0) and 16 for more powerfull machines. It's a trade off between speed and quality, so definitively a parameter to play with. 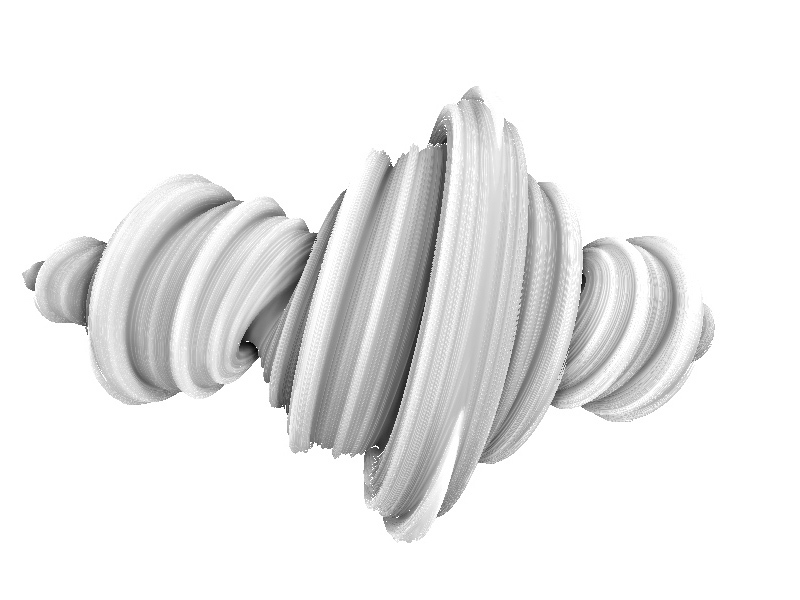 I generated the points arround the current shading point in a sphere (inside the sphere, not just on the surface) from a small random lookup table (passed as constants), with a constant radius (scene dependant, and feature dependant - you can make the AO more local or global by adjusting this parameter). and to finish we just have to average to get the total estimated occlusion. 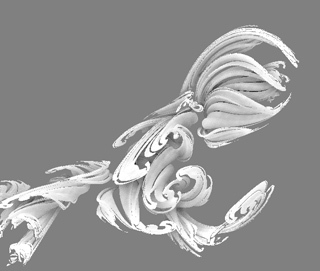 The big secret trick is to apply next a bluring to the ambient occlusion, that we stored in a texture (occlusion map). It's easy to avoid bluring across object edges by checking the difference in z between the blurring sampling points, and the eye space normal too (that we can output as with the eye linear z distance on the very first pass). The shader above does not execute in pixel shaders 2.0 hardware, because of the amount of instructions, even with just 8 sampling points, while Crytek's does. So, the thing is to simplify the inner loop code. The first this one can do is to remove the perspective projection applied to the sampling points. This has a nice side effect, and it's that the sampling sphere is constant size in screen space reagardless the distance to the camera, what allows for ambient occlusion both in close and distant objects at the same time. That's what Crytek guys do, I believe. Once could play with the blocking factor to remove few instructions too. I added few reference images below of this realtime Screen Space Ambien Occlusion implementation (the small one are clickable).